Federal Judge William Kuntz, who presides over the 2019 Haitian TPS case in Brooklyn, was appointed by Obama in 2011 and unanimously confirmed by the Senate. In our case, they insisted that expert witness Ellie Happel does not have a PhD in economics, nutrition, or political science, that she was paid $ 275 an hour to give her opinion, that she tweeted against Trump, and participated in Obama’s electoral campaign. As if a Ph.D. were needed to assess a fairly clear situation and facts, or to see the ongoing struggle between the political and the administrative, and between an open and a closed regime. The Department of Homeland Security (DHS) secretary, Elaine Duke, did not have a PhD to make her decision to terminate Temporary Protection Status (TPS). (She has an MBA from an obscure university, Chaminade, in Honolulu, ranked 601st out of 800 U.S. universities.) Her chief at the time, John Kelly, also has only a Masters degree, and Trump has just a measly B.A. in economics with specialization in finance. This does not prevent these characters from destroying the lives of hundreds of thousands of people. As for the plaintiffs’ other witnesses, Michael Posner, the former Assistant Secretary of State for Democracy, Human Rights and Labor, is obviously guilty of having been Hillary Clinton’s adviser during the latter’s unsuccessful election campaign, and to have worked closely with her when she was Secretary of State. And Leon Rodriguez, the former Director of Customs and Immigration Services (USCIS), is suspect, the defense implied, for having been appointed by Obama in late 2013. But the defense did not want to push too hard against these two former high-ranking government officials. They also refrained from over-interrogating the two witnesses who spoke from among the nine individual Haitian plaintiffs: Naïscha Vilme, 22, who has a bachelor’s degree in mathematics and psychology and would like to get a PhD in clinical psychology, and Rachelle Guirand, 40, a home health aide who has an 8-year old son and would feel compelled to bring him with her to live in Haiti if she lost her TPS. The only questions asked by the defense were to try to show that TPS’s scope is temporary and to imply that the beneficiaries should have always been ready to leave the United States! Questioning them further would have simply brought out more plainly the unjust and unfortunate nature of this termination for people who have lived in the United States for 10 years, have studied or worked, paid their taxes, contributed to society, and in general are “deeply rooted in their community,” as Marleine Bastien, the director of FANM (Family Action Network Movement, formerly Fanm Ayisyen Nan Miyami), one of the two plaintiff organizations, testified. IS THE DHS DECISION WITHOUT APPEAL? The defense’s minimalist approach had another reason: in paragraph 8 U.S. Code 1254a (b) (5) (A), the TPS statutes state that: “There is no judicial review of any determination of the [Secretary of the Department of Homeland Security] with respect to the designation, or termination or extension of a designation, of a foreign state under this subsection.” That is, no organ of the judiciary has the right to verify the decision. Federal Judge William Kuntz appeared to challenge this notion during the final argument of Joseph Marutollo, the government’s lead lawyer, who said it was only Congress which could act if the DHS secretary had violated the law, not him. Judge Kuntz facetiously asked if this Congressional law change would be “retroactive” and wanted to know what could be done “right now” to address the problem. “If it relates to the TPS statute…,” Marutollo began, before the federal judge interrupted him again (for the 7th time!). “You’ve answered my question,” Judge Kuntz concluded (or conceded?) with clear disgust. Edward Chen, the California federal judge who presides over another TPS case and has blocked Trump’s termination of the TPS. Named by Obama in 2009, he had to wait two years before the Senate confirmed him because the Republicans objected to his work at the ACLU. As a lawyer, Brian Concannon explained to us the substance of the law, including the decisive provisions of the Administrative Procedure Act (APA), which regulate the operation of government agencies, often so that they do not encroach on another branch of government – we’ll come back to this. In reality, the Congress can only limit the scope of the judicial control of agencies’ actions by including such language in the organic law, as in this case. But Article III of the Constitution reserves judicial powers to the courts, so that agencies do not use too much judicial power in violation of the separation of powers. Judge Chen had similarly heard the case of nine TPS holders and five U.S. citizen children of TPS holders from Sudan, Nicaragua, El Salvador, and Haiti, and on Aug. 6, 2018, he temporarily banned DHS from enforcing the decisions taken to end the TPS of these countries, as long as the case is not tried. Proving this administration’s racism is the most obvious. 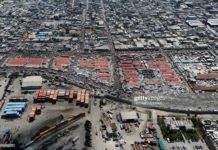 Every time Trump fumes, he reveals his true feelings: Mexican immigrants are “drug dealers or users, criminals and rapists,” “We have some bad hombres here, and we’re going to get them out,” the immigrants are like “snakes who will bite and kill anyone foolish enough to take them in,” 40,000 Nigerians arrived in the United States “will never go back to their huts in Africa,” Haiti and other African countries are “shitholes,” “all Haitians have AIDS,” members of the Salvadoran gang MS-13 are “animals,” and already in 2015, he had said that Muslims should be totally banned from entering the U.S.. His pals are the same: Steve Bannon, his former chief strategist, declared that “Islam is not a religion of peace. Islam is a religion of submission,” and the West is “at war with Islam.” Michael Flynn, his former national security adviser, called Islam a “vicious cancer inside the body of 1.7 billion people” that must be “excised” and said that “fear of Muslims is rational.” Sebastian Gorka, his former aide, said that admitting Muslim refugees would be “national suicide” and that the Koran is at the root of much terrorism. In our case, Trump’s DHS secretary at the time, John Kelly, echoed a classic stereotype: Haitians benefit from welfare. 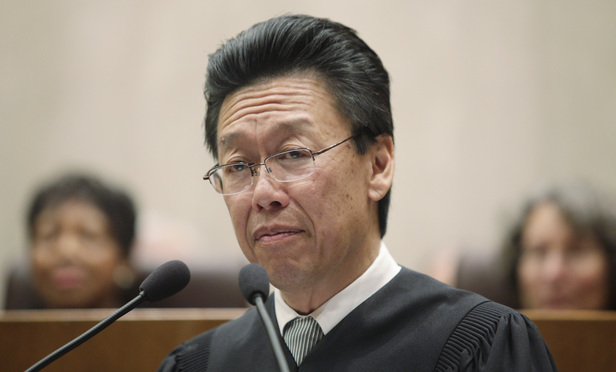 Judge Chen of California considered “plausible” this aspect: “President Trump made statements which a reasonable observer could construe as evidence of racial bias animus against non-white immigrants, and that he thereafter influenced and tainted DHS’s decision-making process with regard to TPS.” This would violate the guarantee of equal protection under the U.S. Constitution. While Judge Kuntz himself was not moved by such coarse language (a “hard” Brooklyner compared to a “sweet” San Franciscan?! ), on the other hand, he seemed very receptive when the plaintiffs spoke of the 20,000 to 29,000 estimated children of Haitian TPS holders born in the United States (which makes them automatically U.S. citizens). He asked if “newly born citizens would be separated from their parents” and hoped “the issue to be addressed in post-trial briefs,” due Mar. 1. 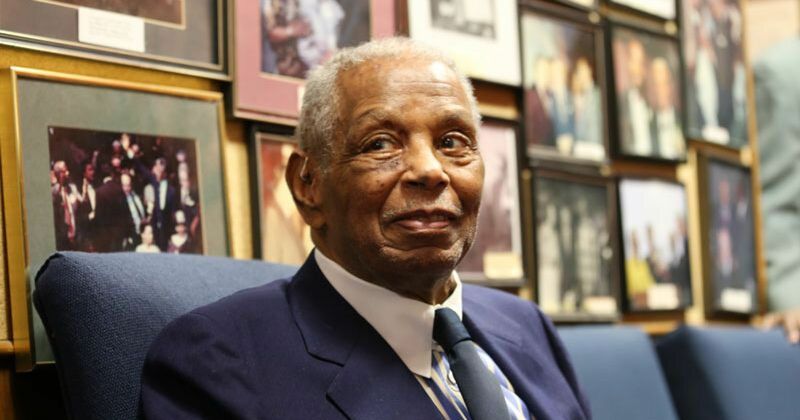 “One of the elements of irreparable harm … is the impact this would have on the parties, both the Haitians and their U.S. citizen dependents, and what are the implications for both,” he concluded. This should make TPS revocation unconstitutional because school-age U.S. citizen children have first and foremost the constitutional right to live in the United States and go to school, but also the fundamental right to live with – and be raised by – their parents. So, TPS holders’ children face a terrible dilemma: to follow their parents who must return to their country of origin or to stay in the U.S. but separated from their father and mother! And let’s not even talk about the difference of educational opportunities in the ancestral country, not in qualitative terms, but concerning diversity and security: physical, food, and health. We find the same cruelty with DACA (Deferred Action for Childhood Arrivals), the executive order signed by Obama in 2012 to prevent the deportation of children of undocumented immigrants – estimated to be between 700,000 to 800,000 – for renewable periods of two years. After many changes of fortune under Obama, Trump put on the brakes, of course, and this same Elaine Duke, the interim DHS secretary, ended DACA on Sep. 5, 2017, at the same time that she began terminating TPS. “I’m saying the secretary did not make a factual determination,” Howard Roin, the head of Mayer Brown law firm’s delegation representing the plaintiffs, insisted in his final argument. (He was, by the way, former special assistant to William Webster, when the latter was the FBI director). 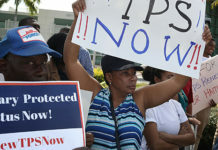 In fact, “In sharp contrast to these prior notices — which were frequently detailed and lengthy — the termination notices for Sudan, Haiti, Nicaragua, and El Salvador are curt and fail to address numerous conditions that justified extensions of TPS status in the most recent notices issued by prior administrations,” reports California Judge Chen. 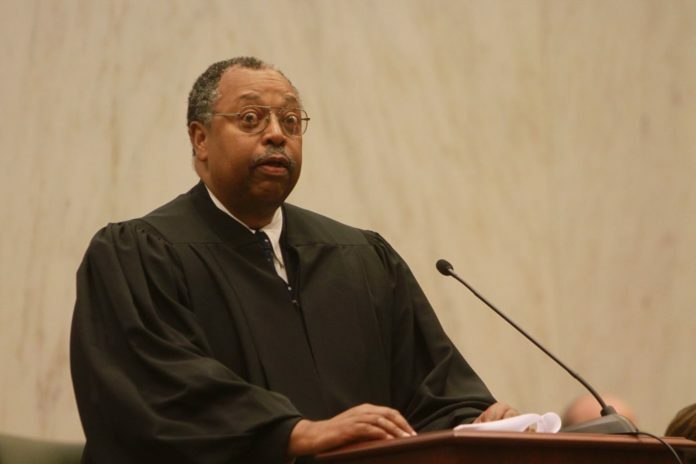 Federal judge Damon Keith of Cleveland, Ohio chaired a Honduran TPS case in 2013, reprimanding the Obama administration for incessant and misguided opposition. 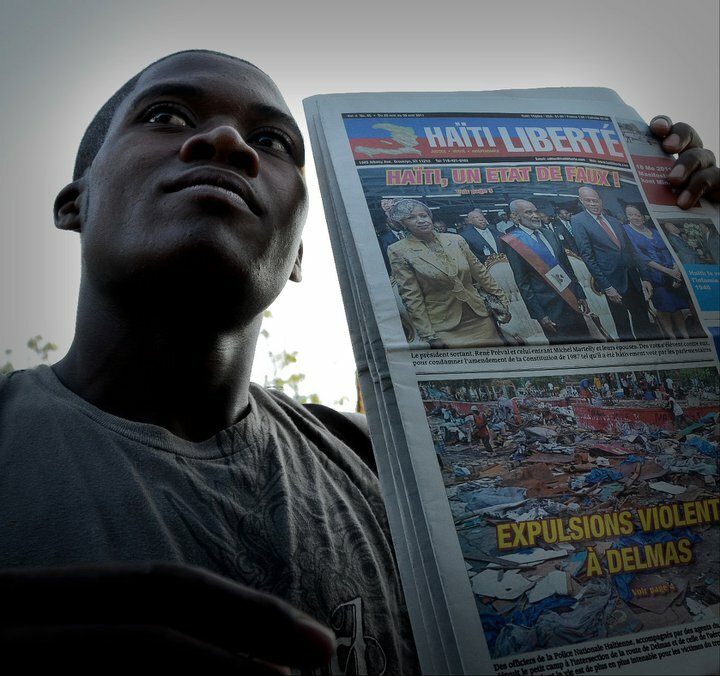 An example for Haiti: Duke’s decision simply says that “the cholera epidemic has declined,” period. In reality, cholera has become endemic with seasonal spikes, especially when there are heavy rains and floods. In the aftermath of Hurricane Matthew in October 2016, cases rose from 2,236 to 5,100, as we mentioned before. 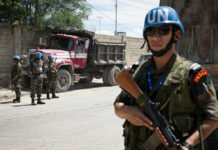 And the UN estimated there would be 30,000 cases by the end of 2017 when the DHS announced the TPS termination, citing a substantial improvement in the situation. The absence of a rational connection between the facts found and the choice made would be sufficient to qualify this decision of the DHS Secretary as “arbitrary or capricious,” thus illegal. One could find several arguments under this clause. And above all, the fact that the administration has radically changed its interpretation sub silentio, i.e. very quietly and with no announcement. As the former USCIS director Leon Rodriguez showed, the DHS now only looks at the initial situation at the time of the 2010 earthquake – in the case of Haiti – regardless of whether current conditions would justify a TPS extension. The Trump administration used the same tactics in June 2018 with the right to asylum when then Attorney General Jeff Sessions, a virulent immigration opponent, reinterpreted it so that the victims of domestic violence and gangs were no longer eligible. This change could have affected tens of thousands of asylum seekers in the United States. A Jul. 11 memorandum written by Tracy Short, Senior Legal Counsel for Immigration & Customs Enforcement (ICE), was sent to immigration prosecutors detailing how they should now litigate (negatively) asylum cases in light of Sessions’ decision. This internal document was leaked to an immigration lawyer, Daniel Kowalski, and the administration’s only response was to subpoena him to find the leak’s source. Attorney Generals from California, Washington, DC and 17 other states sued the Justice Department to reverse this change introduced by Sessions. And in this case, Federal Judge Emmet Sullivan of Washington, DC determined on Dec. 17, 2018 that the general rule against domestic violence and gang-related claims is “arbitrary and capricious and contrary to the law” (!) And he blocked Sessions’ policy. In the case of asylum, as in those of TPS or DACA, re-interpretation serves a purely political purpose: to restrict immigration. Fortunately, there are the courts, and they are “activists”! One could also demonstrate the absurdity of both this policy and the immigration system. First, Congress did not have in mind to make the life of TPS holders impossible. The administration interprets the statutes – again restrictively – to say that TPS holders cannot change their status by applying for permanent residence. In the case of the couple Stacey and Saady Suazo – a U.S. citizen and a Honduran TPS holder, who was refused by USCIS to switch from TPS to permanent resident – a federal judge from Cleveland, Ohio, Damon Keith, decided in June 2013 that the TPS statutes (INA § 244 (f) (4)) clearly state that “the alien is considered as having and retaining the legal status of non-immigrant,” and therefore that he is eligible to change his immigration status and apply for permanent residence. The judge also reprimanded the government for “incessant and injudicious opposition in cases like this, where the only purpose seems to be a general policy of opposition for the sake of opposition.” (As in this trial!) It would be absurd to prohibit this man from changing his immigration status after he lived for 15 years in the United States, is the husband and father of U.S. citizens, and contributes to society. For the record, it was Justice Keith who ordered Richard Nixon’s Attorney General, John Mitchell, to disclose the illegal phone tapping transcripts that Mitchell had authorized without first obtaining a search warrant. The Supreme Court ruled in favor in 1972, and it was this decision that led to the famous Foreign Intelligence Surveillance Act (FISA) signed by Jimmy Carter in 1978, which is supposed to protect citizens in case of state surveillance, a law that has been famously diluted since Sep. 11, 2001. Judge Keith also ruled unconstitutional Attorney General John Ashcroft’s decision to judge all immigration cases in connection with the investigation of the events of Sep. 11, 2001 in closed-door trials. Judge Keith reminds us of Judge Kuntz; we hope that the latter will have the same moral strength. 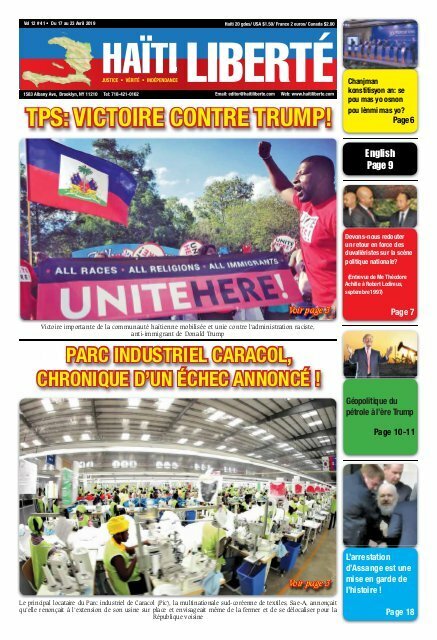 Previous articleA bas le coup d’état au Venezuela !